The new review concludes that in order to adequately protect America, the Pentagon must expand defence technologies in space. 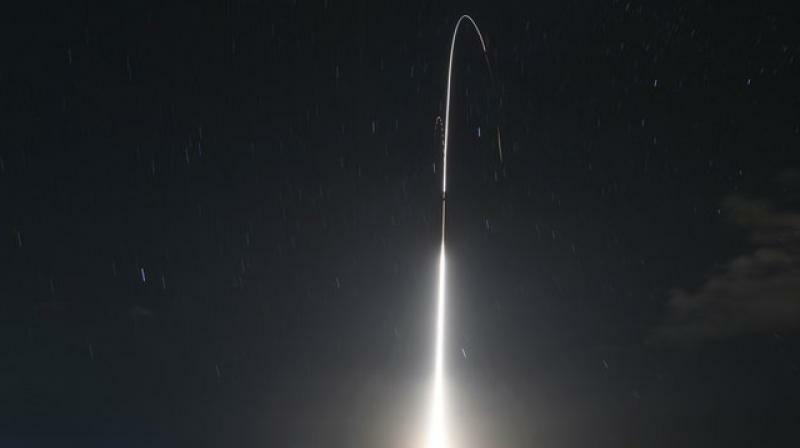 The US is looking at putting a layer of sensors in space to more quickly detect enemy missiles when they are launched. The Trump administration will roll out a new strategy Thursday for a more aggressive space-based missile defence system to protect against existing threats from North Korea and Iran and counter advanced weapon systems being developed by Russia and China. The new review concludes that in order to adequately protect America, the Pentagon must expand defence technologies in space and use those systems to more quickly detect, track and ultimately defeat incoming missiles. The new strategy is aimed at better defending the US against potential adversaries, such as Russia and China, who have been developing and fielding a much more expansive range of advanced offensive missiles that could threaten America and its allies. The threat is not only coming from a traditional cruise and ballistic missiles, but also from hypersonic weapons. For example, Russian President Vladimir Putin unveiled new strategic weapons he claims can’t be intercepted. One is a hypersonic glide vehicle, which could fly 20 times faster than the speed of sound and make sharp manoeuvres to avoid being detected by missile defence systems. Current US missile defence weapons are based on land and aboard ships. Trump and Vice President Mike Pence have both emphasised space-based capabilities as the next step of missile defence. Any expansion of the scope and cost of missile defences would compete with other defence priorities, including the billions of extra dollars the Trump administration has committed to spending on a new generation of nuclear weapons. An expansion also would have important implications for American diplomacy, given long-standing Russian hostility to even the most rudimentary US missile defences and China’s worry that longer-range US missile defences in Asia could undermine Chinese national security. Asked about the implications for Trump’s efforts to improve relations with Russia and strike better trade relations with China, the administration official said that the US defence capabilities are purely defensive and that the US has been very upfront with Moscow and Beijing about its missile defence posture.